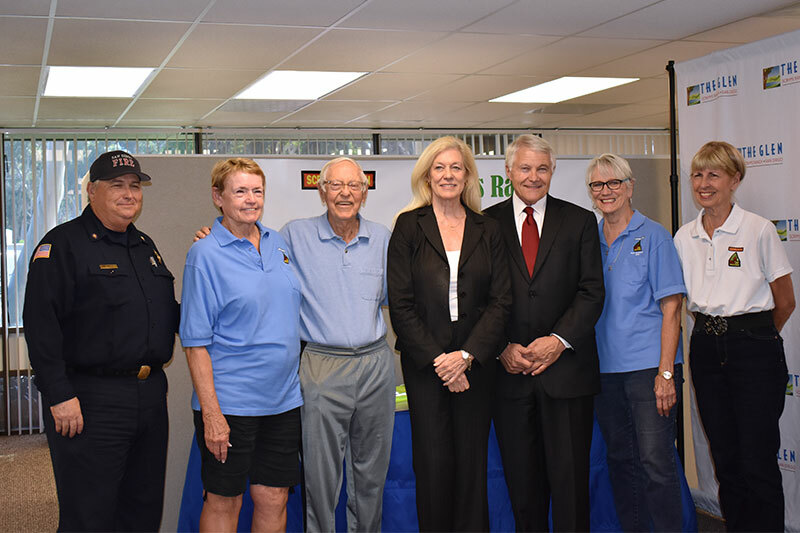 The Glen at Scripps Ranch marked Wildfire Awareness Month with a generous $20,000 donation to the Scripps Ranch Fire Safe Council on Oct. 26. The event, held at The Glen’s offices at 9903 Businesspark Ave., marked the devastating Cedar Fire’s 15th anniversary and served to remind San Diego about the importance of fire safety and preparedness. The Cedar Fire was a wildfire that burned 273,246 acres in San Diego County in 2003 and destroyed more than 300 homes in Scripps Ranch alone. This tragedy prompted the creation of the Scripps Ranch Fire Safe Council (SRFSC), which was formed in 2004. The purpose of the SRFSC was to take steps to prevent the Scripps Ranch community from losing homes in the event of the next wildfire. 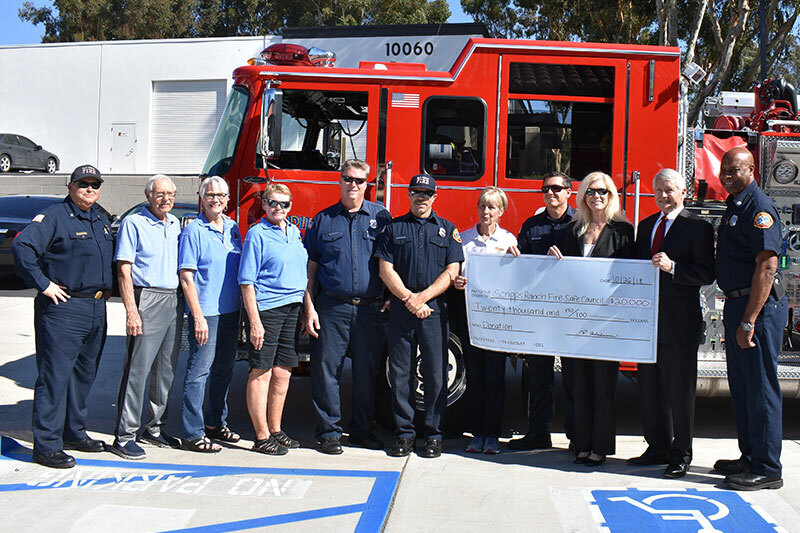 The $20,000 donation form The Glen will help the SRFSC provide 10 special fire equipment boxes to be placed strategically around the Scripps Ranch fire district for first responders in the event of wildfires. This is the SRFSC’s most current project. Equipment will include emergency vests, traffic cones, signs and flares that will be needed by city emergency crews to help with evacuations and traffic control in the event of a future wildfire or disaster. The Glen is a new Continuing Life® retirement community coming soon to the Scripps Ranch area north of Marine Corps Air Station Miramar. Visit the Scripps Ranch Fire Safe Council at srfiresafe.org. Visit The Glen at theglenatscrippsranch.com. For more information about The Glen at Scripps Ranch, visit theglenatscrippsranch.com.